Zhangjiagang Ablelplas Machinery Co., Ltd, a professional and golden manufacturer of plastic machinery, has moved their factory to new and bigger factory recently. In order to meet their customers increasing requirement, offering much better quality machinery and service, they also decided to add some more new manufacturing and processing facilities. Customers first, Best quality and service, Profession solutions. This is their principle. In order to keep supplying high-quality plastic machines and lower their customers’ cost, they always focus on improving their technology skills for the past years. And they will keep doing this for the coming years. All their customers from all over the world think highly of the company and their people. 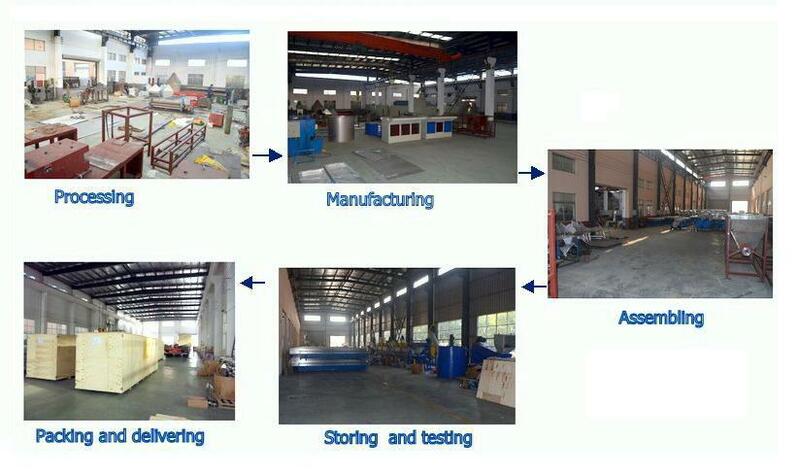 Zhangjiagang Ableplas Machinery co., Ltd has specialized in plastic machinery manufacturing for a decade. Their products mainly cover plastic pipes making machine (PVC,PE,HDPE,PP,PPR etc), plastic profiles extrusion line (PVC,WPC) such as pvc cable ducts, pvc ceiling panels, pvc window profile etc, plastic granules production line (PVC,WPC,PP,PE) and some auxiliary machines like mixers, crushers, shredders, pvc/pp/pe pulverizing machines, raw material loading machines, vibrators. Now the company has exported their machines to many regions of the world, Mid-east, South-east Asia, Africa, South America, Europe etc. Welcome to visit their company website: www.abelplas.com. If you have any interest, please do not hesitate to contact them. Hope to cooperate with you. Your support will be their motivation.